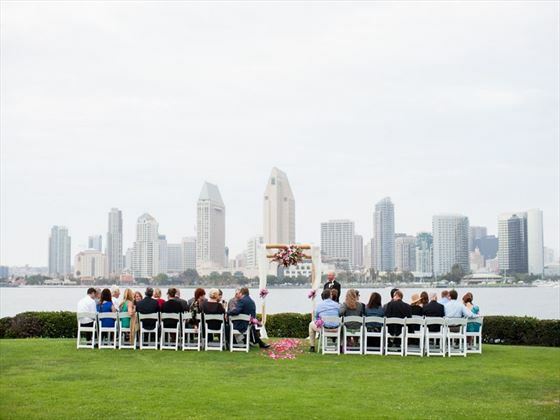 Centennial Park is majestic looking, extending from Orange Avenue to San Diego Bay, with a first class view of downtown San Diego. 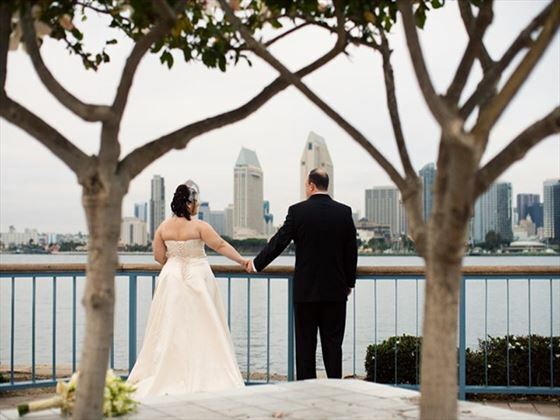 With backdrops of the harbor, bay and city skyline, these beautiful parks are a great location for your small ceremony only wedding. Centennial Park is majestic looking, extending from Orange Avenue to San Diego Bay, with a first class view of downtown San Diego. 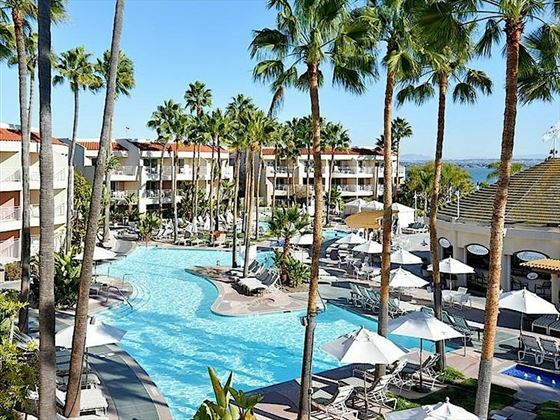 Located on the bay side of Coronado. 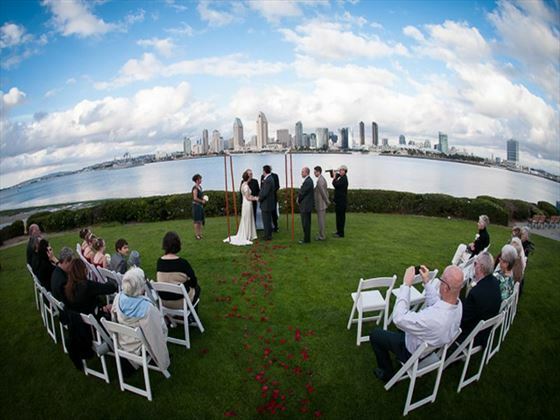 This beautiful park has the San Diego Skyline as a backdrop- Centennial Beach is also an option. These are amazing locations with lots of parking nearby at the Ferry Landing Marketplace. 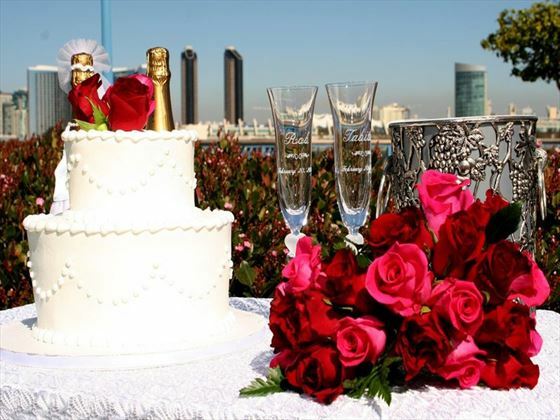 Wedding Location is across the Bay from Wyndham Bayside and an additional 5 Minutes from the Omni and Solamar Hotels.